His Holiness met with victims of clergy abuse from Germany and the British Isles today. He met with each person individually, and there was no time limit on each meeting. Each one had about 30 minutes with the pontiff. The entire session lasted about three hours. The pope has appointed a commission to work with him on new standards and rules, and one member is a woman who was abused as a child in once-Catholic Ireland. The revelations of abuse and cover-ups by bishops have rocked the island evangelized by St. Patrick and have weakened the Church’s mission in North America and Europe, and we are now hearing more of the same from Africa and Latin America. A Vatican citizen, Josef Wesolowski, an archbishop from Poland, was reduced to the lay state recently and now faces criminal charges by a Vatican court – this is hopefully a sign of the future as for the first time the pope said that bishops will be held accountable, something victims’ groups demand. Now back, to today’s meeting: As successor of Peter, he referenced the scene where Jesus hears Peter deny him three times while Jesus is being interrogated and beaten by the guards and Jesus looks directly at Peter. Peter then breaks into tears and runs away weeping. Much later, after the Resurrection, Peter and Jesus meet on the shore of the Sea of Galilee.There, Jesus asks Peter three times, “Do you love Me?” Peter affirms his love for Christ, and Jesus then entrusts him with the mission of caring for His sheep on earth. Pope Francis uses strong language regarding those who did the abuse, and those in the Church who did not help the victims and their families. He references those driven to suicide – I myself know of one young fellow who killed himself as a result of both the abuse and the failure of the local bishop to come to his aid. God bless our pope, and God grant that this scourge – which is always a danger but which peaked horribly in the 1960s-1980s – will be dealt with firmly from here on. Here is the Pope: “The scene where Peter sees Jesus emerge after a terrible interrogation… Peter whose eyes meet the gaze of Jesus and weeps… This scene comes to my mind as I look at you, and think of so many men and women, boys and girls. I feel the gaze of Jesus and I ask for the grace to weep, the grace for the Church to weep and make reparation for her sons and daughters who betrayed their mission, who abused innocent persons. Today, I am very grateful to you for having travelled so far to come here. “For some time now I have felt in my heart deep pain and suffering. So much time hidden, camouflaged with a complicity that cannot be explained until someone realized that Jesus was looking and others the same … and they set about to sustain that gaze. “And those few who began to weep have touched our conscience for this crime and grave sin. This is what causes me distress and pain at the fact that some priests and bishops, by sexually abusing minors, violated their innocence and their own priestly vocation. It is something more than despicable actions. It is like a sacrilegious cult, because these boys and girls had been entrusted to the priestly charism in order to be brought to God. And those people sacrificed them to the idol of their own concupiscence. They profane the very image of God in whose likeness we were created. Childhood, as we all know, young hearts, so open and trusting, have their own way of understanding the mysteries of God’s love and are eager to grow in the faith. 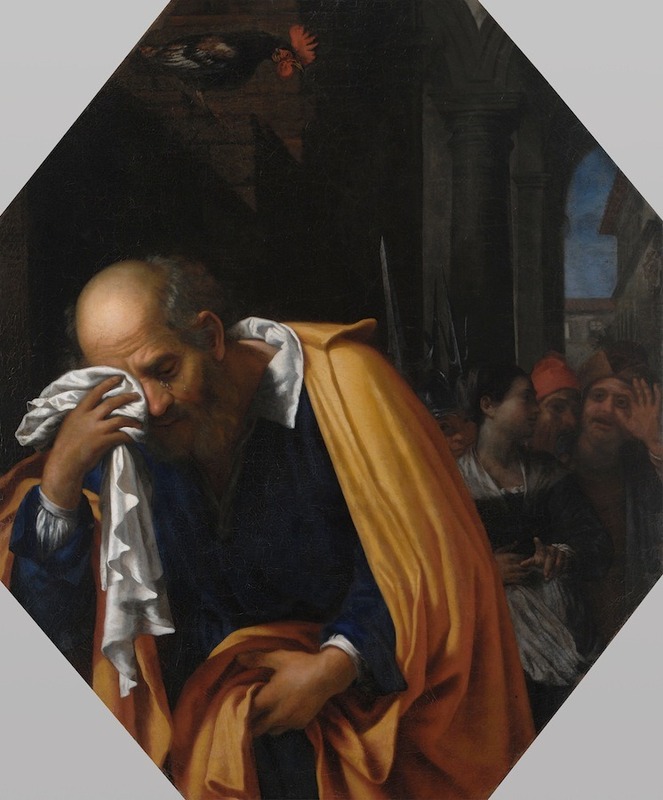 Today the heart of the Church looks into the eyes of Jesus in these boys and girls and wants to weep; she asks the grace to weep before the execrable acts of abuse which have left life long scars. “I know that these wounds are a source of deep and often unrelenting emotional and spiritual pain, and even despair. Many of those who have suffered in this way have also sought relief in the path of addiction. Others have experienced difficulties in significant relationships, with parents, spouses and children. Suffering in families has been especially grave, since the damage provoked by abuse affects these vital family relationships. “Some have even had to deal with the terrible tragedy of the death of a loved one by suicide. The deaths of these so beloved children of God weigh upon the heart and my conscience and that of the whole Church. To these families I express my heartfelt love and sorrow. Jesus, tortured and interrogated with passionate hatred, is taken to another place and he looks out. He looks out upon one of his own torturers, the one who denied him, and he makes him weep. Let us implore this grace together with that of making amends. “Sins of clerical sexual abuse against minors have a toxic effect on faith and hope in God. Some of you have held fast to faith, while for others the experience of betrayal and abandonment has led to a weakening of faith in God. Your presence here speaks of the miracle of hope, which prevails against the deepest darkness. Surely it is a sign of God’s mercy that today we have this opportunity to encounter one another, to adore God, to look in one another’s eyes and seek the grace of reconciliation. “Before God and his people I express my sorrow for the sins and grave crimes of clerical sexual abuse committed against you. And I humbly ask forgiveness. “I beg your forgiveness, too, for the sins of omission on the part of Church leaders who did not respond adequately to reports of abuse made by family members, as well as by abuse victims themselves. This led to even greater suffering on the part of those who were abused and it endangered other minors who were at risk. “On the other hand, the courage that you and others have shown by speaking up, by telling the truth, was a service of love, since for us it shed light on a terrible darkness in the life of the Church. There is no place in the Church’s ministry for those who commit these abuses, and I commit myself not to tolerate harm done to a minor by any individual, whether a cleric or not. All bishops must carry out their pastoral ministry with the utmost care in order to help foster the protection of minors, and they will be held accountable. “What Jesus says about those who cause scandal applies to all of us: the millstone and the sea. “By the same token we will continue to exercise vigilance in priestly formation. I am counting on the members of the Pontifical Commission for the Protection of Minors, all minors, whatever religion they belong to, for they are little flowers which God looks lovingly upon. “I ask this support so as to help me ensure that we develop better policies and procedures in the universal Church for the protection of minors and for the training of church personnel in implementing those policies and procedures. We need to do everything in our power to ensure that these sins have no place in the Church. “Dear brothers and sisters, because we are all members of God’s family, we are called to live lives shaped by mercy. The Lord Jesus, our Saviour, is the supreme example of this; though innocent, he took our sins upon himself on the cross. To be reconciled is the very essence of our shared identity as followers of Jesus Christ. By turning back to him, accompanied by our most holy Mother, who stood sorrowing at the foot of the cross, let us seek the grace of reconciliation with the entire people of God. The loving intercession of Our Lady of Tender Mercy is an unfailing source of help in the process of our healing. “You and all those who were abused by clergy are loved by God. I pray that the remnants of the darkness which touched you may be healed by the embrace of the Child Jesus and that the harm which was done to you will give way to renewed faith and joy. “I am grateful for this meeting. And please pray for me, so that the eyes of my heart will always clearly see the path of merciful love, and that God will grant me the courage to persevere on this path for the good of all children and young people. Jesus comes forth from an unjust trial, from a cruel interrogation and he looks in the eyes of Peter, and Peter weeps. We ask that he look at us and that we allow ourselves to be looked upon and to weep and that he give us the grace to be ashamed, so that, like Peter, forty days later, we can reply: ‘You know that I love you’; and hear him say: ‘go back and feed my sheep’ –and I would add – ‘let no wolf enter the fold’”.